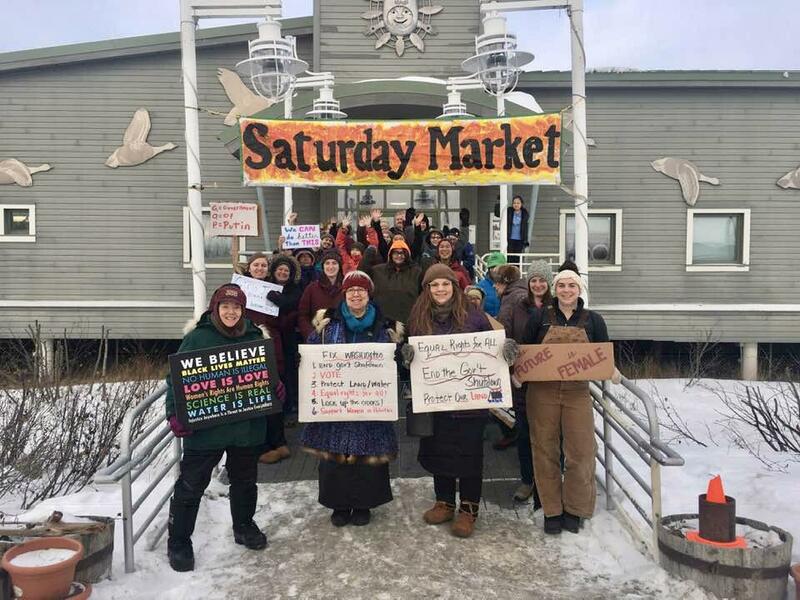 Over 40 people gathered at the Yupiit Piciryaraitat Cultural Center for Bethel’s 3rd annual Women’s March on Saturday, January 19, 2019. Saturday, during the K300 sled dog race, over 40 people gathered at the Cultural Center for Bethel’s Women’s March. Here is an audio postcard of the event. Among those joining the march were men, young and old.